BBC Two - Fir Fáinne, Ceacht 2 - Lesson 2 -Cad é an t-ainm atá ort? What is your name? 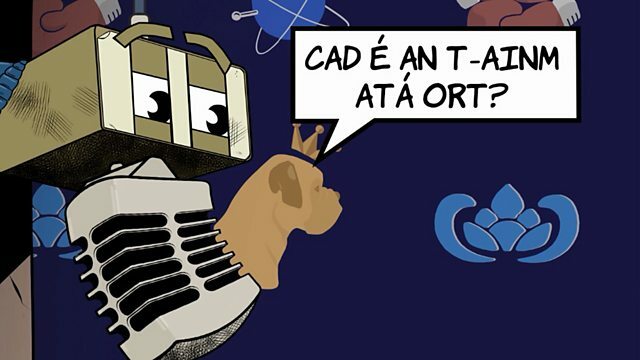 Cad é an t-ainm atá ort? What's your name? Ceacht 4 - Lesson 4 - Cá mhéad duine atá i do theaghlach? How many people are there in your family? Cad é an t-am é?